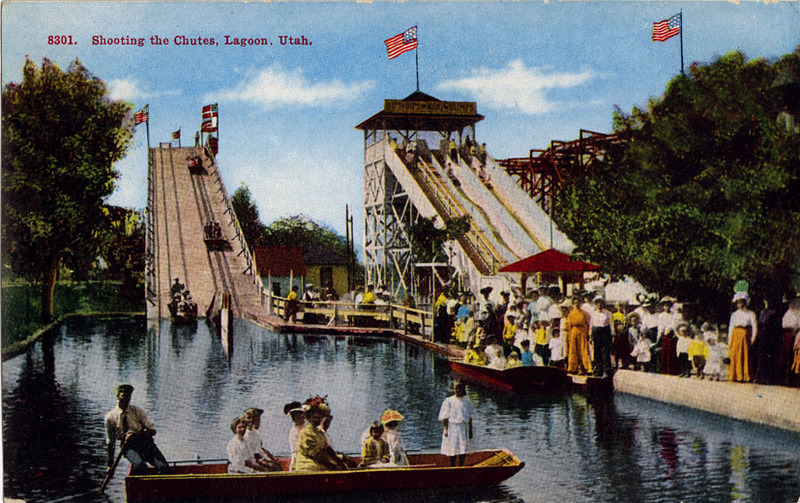 The Utah State Fair has been a cornerstone of Utah history even before Utah became a state in 1896. The original development of the fair was to promote “self-sufficiency” within agricultural production. The first fair, known as the “Deseret Fair,” was held in October 1856 under the supervision of the Deseret Agricultural and Manufacturing Society. In February 19, 1925, the Salt Lake Telegram reported that Representative Charles Redd had proposed a bill to the Legislature to legalize pari-mutuel betting and horse racing under a new state horse racing commission. Redd believed that horse racing was “the sport of kings” and should be re-established in the Utah industry. The bill proposed that the governor appoint a three-member committee to control the pari-mutuel betting system under new regulations by the commission. The bill gained traction among the legislature, but in March 1925, according to the Salt Lake Telegram, Sen. Herbert S. Auerbach considered the races “to be the most vicious forms of gambling and would bring into the state the worst riffraff of its kind.” This quote came after Auerbach admitted to not being “strait-laced” and dipping his hand in betting on a few races at the track. A large crowd ventures to the Utah State Fairpark to watch horse racing in 1907. Shipler Commercial Photographers Collection, Mss C 275, Utah State Historical Society. Reprinted with permission. By April 1925, the fairgrounds needed improvements. Fred Dahnken and William P. Kyne, well-known men in the horse racing industry who conducted successful races in Phoenix and Reno, proposed a deal with the state fair board and were approved for a $60,000 track deal to develop horse racing over the next ten years at the Utah State Fairgrounds. According to the Salt Lake Telegram, this agreement included improvements to the existing grandstand, paddocks, jockey room, horse stalls, and fences. Two racers wait outside the fairgrounds in 1908. Shipler Commercial Photographers Collection, Mss C 275, Utah State Historical Society. Reprinted with permission. As opening day drew nearer, things were in full swing to prepare for the event. The Salt Lake Telegram reported on June 6, 1925, that a new chute would be added to the track, extending the length of the race to run up to a three-quarter-mile. Artisans put final touches on the barns, pari-mutuel booths were set up, and jockeys and exercise boys warmed up horses on the track. 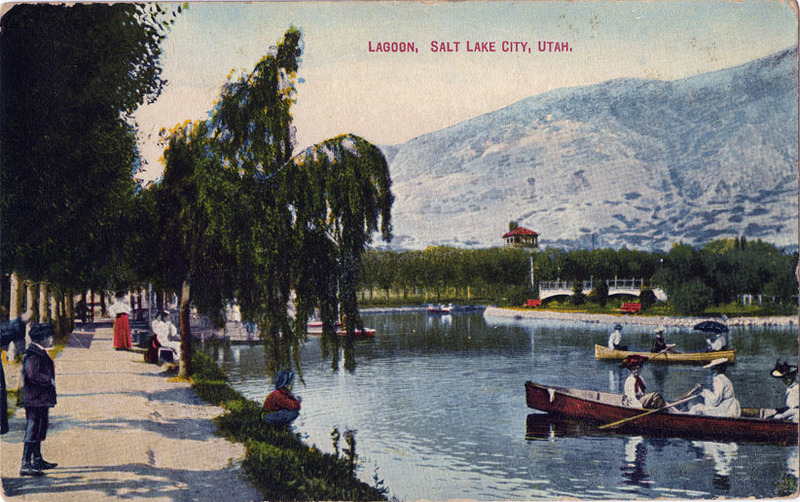 On June 8, the Salt Lake Telegram announced the program of the State Fair’s “Inaugural Day” and informed readers that July 2 would kick off the horse racing season with a $1,500 purse. The Salt Lake Telegram reported on July 1: “Several carloads of horses, in prime condition, arrived at the track today and yesterday and still more are due this evening which will swell the number of equine nobility to participate in the coming meeting to a full 400 head.” C. B. Irwin, owner of at least 21 thoroughbreds at the races, believed his top horse that he called the “route-goer,” Lizette, would be the one to beat. “He would run her from the car to the track, that’s how good he thinks Lizette is,” observed the newspaper. At last, July 2, one of the most anticipated days of the year, arrived and the Utah State Fair officially opened the races under the new Horse Racing Commission. A large number of people ventured to the track to take in and bet on some of the top thoroughbreds competing. Horses and buggies race to an exciting finish in 1904. 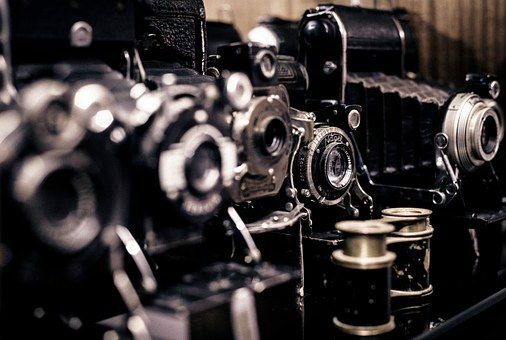 Shipler Commercial Photographers Collection, Utah State Historical Society. Reprinted with permission. In March 1992, the Davis County Clipper reported that Utah horse breeders had filed a petition to get pari-mutuel betting on the ballot, which would give counties the right to decide whether or not they would approve pari-mutuel wagering at horse races in their jurisdiction. According to the article, “The funds collected in the pari-mutuel wagering will be used to support the public, promote economic growth and reduce taxes.” Even though the bill made it on the ballot, late opposition from the LDS church prevented the bill from passing. It’s been 90 years since pari-mutuel horse race betting has been legal. However, the positive impact it had on Utah’s economy shows the progressive role it can play today. It’s reported that the Utah State Fairgrounds is in a state of distress. Brian Grimmett of KUER reported on March 27, 2014, that an audit by the Utah State Auditor found the Utah State Fair Corporation is highly subsidized compared to similar state fairs around the country: “The legislature has given the fair more than $6.8 million since 2004. Meanwhile, attendance has decreased almost every year since hitting a peak in 2008.” Many of these concerns are due to the crumbling infrastructure. Legislative auditors are concerned if a plan to update and improve fair park facilities isn’t in place, the State Fair will be destitute in a few years, reported Judy Fahys of KUER. The horse racing/breeding industry is an established sport in Utah. Allowing pari-mutuel betting or a similar system would be an incentive for members of the community to get involved, support the races and generate a year-round source of income to update and maintain current buildings at the state fairgrounds. Pamela Wood of the Baltimore Sun reported on March 18, 2016, that a new track deal allowed off-track betting at the Maryland State Fair all year. It was projected to generate upward of $500,000 per year in revenue for the Maryland Jockey Club, horsemen, and building upkeep and maintenance. Passing a similar bill here in Utah would allow the state fair to create new sources of revenue while continuing the tradition of the fairgrounds for future generations. Halie Berry graduated in May 2017 from The University of Utah with a Bachelor of Science degree in mass communication with an emphasis in sports broadcasting. “Huge Throng Thrilled as Lizette Wins Feature of Opening Day,” Salt Lake Telegram, July 3, 1925. “Track and Equipment is Ready for Opening Event,” Salt Lake Telegram, July 1, 1925. “Program Announced for the First Five Days’ Racing,” Salt Lake Telegram, June 8, 1925. “Fair Grounds Race Track to Have ‘Chute Added,’” Salt Lake Telegram, June 6, 1925. “Fair Grounds Track Deal is Made,” Salt Lake Telegram, April 15, 1925. “Senate Overrides Dern’s Veto of McCarty Election Measure; Utah Horse Racing Bill Passes,” Salt Lake Telegram, March 12, 1925. “Solon Revives Horse Races in House Measure,” Salt Lake Telegram, February 19, 1925. “Horse Breeders Want Pari-Mutual Vote,” Davis County Clipper, March 31, 1992. Grimmett, Brian. “Utah State Fair Under-Attended and Over-Subsidized.” KUER, March 27, 2014, http://bit.ly/2pm6r2R. Luhm, Steve. “History of Horse Racing in Utah.” The Salt Lake Tribune, May 2, 2006, http://bit.ly/2plUp9n. Westergren, Brian N. “Utah’s Gamble with Pari-Mutuel Betting in the Early Twentieth Century.” Utah Historical Quarterly 57, no. 1 (Winter 1989): 4-23. Wood, Pamela. “Community, state fair reach deal on off-track betting at the fairgrounds,” Baltimore Sun, March 18, 2016, http://bsun.md/21ALmMz. In September 1939, German armies invaded Poland and the world was forever changed. The resulting war involved a dozen countries, took upwards of 60 million lives and altered the worldly perceptions for generations to come. However, this story is not strictly about the war. Instead, this story focuses on a unique group of individuals who answered the call when their country needed them. This story is about strength, courage and independence. This story is about breaking barriers and smashing stereotypes. This story is about the formation of the United States Women’s Auxiliary Army Corps. The WAAC was created by President Franklin D. Roosevelt in 1942. The first units started training in July and by 1943 units were sent out across the nation. In May 1943, one of those units arrived in Utah. Advertisements, including this one published in the May 15, 1943, issue of The Salt Lake Tribune, urged women to support military men by joining the WAAC. On May 12, 1943, the Salt Lake Tribune reported recruiting would “be the principal feature of the week.” Though the WAAC had already recruited over 60,000 members, the goal was set to quickly add another 110,000 recruits and send them off to training. Since the primary focus would be recruitment, that week the Salt Lake Tribune featured a variety of ads for the Women’s Auxiliary Army Corps. One featured on page 10 on May 15, 1943, declared largely that the women in the WAAC were “the luckiest girls alive – and we know it! The need is great – the need is NOW!,” it said, sparking patriotism and desperately trying to appeal to the American women who could help fill the wartime void. It seemed great pride was placed upon the women as they bravely entered into unknown territory to dutifully help their country during wartime. Ads such as this one, published in the May 15, 1943, edition of The Salt Lake Tribune, emphasized duty and patriotism and encouraged women to seek more information about the program. The women who enlisted also received much praise from their communities. In fact, updates of women who signed up were frequently printed in the papers. Since Tooele was home to one of the units serving at Dugway, it should come as no shock that they were particularly proud of their women. On March 23, 1943, the Transcript Bulletin announced that “Miss Eva C. Brough … left Tooele Saturday for Salt Lake headquarters prior to her departure for Fort Des Moines, Iowa.” The announcement made the front page and was printed above the announcement of two marines leaving for training soon. This is just one of many examples of communities rallying behind men and women supporting the nation’s war efforts. The Women’s Auxiliary Army Corps became simply the Women’s Army Corps in July 1943 but the units’ story doesn’t end there. Women continued to dutifully, though separately, serve in the military until 1978 when the WAC was finally fully absorbed into the United States Army. Even then though, the battle for equality and recognition still continued. Though the creation, implementation and ultimate success of the Women’s Army Corps worked to break down gender stereotypes, women were still not seen as fully fit for combative military positions. Even once absorbed in the army, they were withheld from holding combat positons for years to come. Not until December 2015, close to 74 years after the creation of the WAAC, would women finally be allowed to occupy combat roles in all areas of the United States military. On December 3, 2015, the New York Times published an article which stated “the Pentagon would open all combat jobs to women.” The newspaper also called this decision a “historic transformation,” a “groundbreaking decision” and “the latest in a long march of inclusive steps by the military.” As the fight continues around the nation, and the globe, for women’s equality the WAC and its legacy are a heart-filled reminder of all those who came before us and the accomplishments they strived to achieve. Nicole Cowdell is a senior at the University of Utah. She is majoring in communication with an emphasis in journalism. “Maw Signals Start of WAAC Week: Governor Cites Opportunities Waiting Recruits,” The Salt Lake Tribune, May 10, 1943, 16. “Conference Opens Drive to Hike WAAC Total,” The Salt Lake Tribune, May 12, 1943, 14. Advertisement for WAAC Enlistment, The Salt Lake Tribune, May 16, 1943, 10. “The WAAC…Its First Birthday Just Passed…On They March,” The Salt Lake Tribune, May 16, 1943, 11. “WAACS Gain Praise of U.S. President,” The Salt Lake Tribune, May 16, 1943, 12. “92 WAACS Arrive at Dugway: Morale High as Ladies Adjust to Desert Life,” The Transcript Bulletin, May 18, 1943, 1. “All Combat Roles Now Open to Women, Defense Secretary Says,” The New York Times, December 3, 2015, 1. Ison, Yvette. “Chemical Weapons Testing Created Controversy at Dugway.” The History Blazer (July 1995): 41-42. Williams, Vera. WACs: Women’s Army Corps. Osceola, Wisconsin: Motorbooks International, 1997. The Salt Lake Tribune covered the execution of John D. Lee. This article was published on the front page of the March 24, 1877, issue. 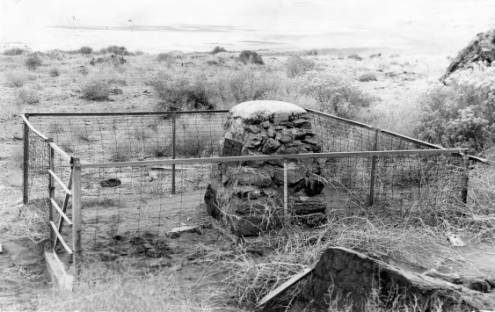 Between September 7 and 11, 1857, there was a series of attacks on the Baker-Fancher emigrant wagon train at Mountain Meadows in southern Utah. Will Bagley wrote in Blood of the Prophets, “Alexander Fancher’s Party was said to consist of eleven families with twenty-nine children and sixty-five total members, traveling with eleven well-stocked wagons and large herds of cattle and horses.” (63) But why the Baker-Fancher party? It has been speculated that the attacks occurred because of the supplies individuals were carrying for their journey from Arkansas to California, and because the wagon train was passing through the Utah Territory during a time of civil unrest. Bagley quotes John D. Lee as saying, “As this lot of people had men amongst them that were supposed to have helped kill the Prophets in the Carthage jail, the killing of all of them would be keeping our oaths and avenging the blood of the prophets.” (381) Today, said Steven Lund, these series of attacks have come to be known as the Mountain Meadows Massacre. On August 5, 1857, one month before the massacre, Brigham Young wrote that martial law was declared in the Utah territory. (Proclamation) During this time, there were multiple escalations in the state that likely contributed to the massacre at Mountain Meadows. Most notable was the start of the Utah War. Lund explained that the Utah War is known today as the confrontation that Utah Mormon settlers had with the United States government over disputes in the Utah Territory. Lund states, “In mid-1857, Latter-day Saint leaders heard rumors that the federal government might replace Brigham Young with a new governor of the Utah Territory, who would be backed by large numbers of federal troops.” These facts have shown that through the pressure from the federal government on the newly created Utah Territory, LDS leaders feared that members would again be driven from their home. Spencer William Ure graduated in May 2017 with a Bachelor’s of Science degree in communication studies. George Barclay, The Mountain Meadows Massacre with the Life, Confession and Execution of John D. Lee, the Mormon (Philadelphia, Pennsylvania: Barclay & Co, 1877). T. R. H. Stenhouse, The Rocky Mountain Saints: A Full and Complete History of the Mormons, from the First Vision of Joseph Smith to the Last Courtship of Brigham Young (New York: D. Appleton and Company, 1873). “Message of the President of the United States to the 36th Congress, 1st Session,” May 4, 1860, http://bit.ly/2mf1oC1. Brigham Young, “Proclamation by the Governor,” August 5, 1857, http://bit.ly/2lUTrRu. Bagley, Will. Blood of the Prophets: Brigham Young and the Massacre at Mountain Meadows. Norman, Oklahoma: University of Oklahoma Press, 2002. Bagley, Will. 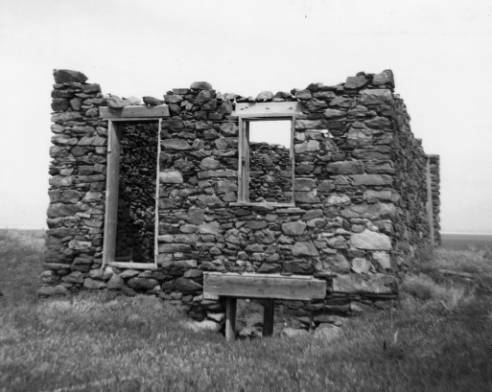 “Wild West: The Legacy of Mountain Meadows,” Wild West, October 2007, http://www.historynet.com/mountain-meadows-massacre. Lund, Steven E. “The Utah War & Mountain Meadows Massacre,” presentation to the members of the Highland Utah Stake in Alpine, Utah, March 10, 2017. Ravitz, Jessica. “LDS Church apologizes for Mountain Meadows Massacre,” The Salt Lake City Tribune, September 11, 2007, http://bit.ly/2pD7f61. In 1910, Ab Jenkins discovered the Bonneville Salt Flats for his own. The Salt Lake Tribune reported on August 21, 2011, that Jenkins found the Salt Flats when he was riding his motorcycle to Reno to see Jack Johnson fight Jim Jeffries in the “Fight of the Century.” According to Hallaran, Jenkins returned to the flats in 1925 where he decided to race his Studebaker truck across the Salt Flats, walloping a special excursion train by more than ten minutes in the race. Jenkins decided to race this train because of the long, flat and desolate surface the Salt Flats provided. It was here in 1925 when Jenkins realized that this remote area had true potential for being a place to achieve land speed records. After Jenkins’ race, he said, “That was my first time on the salt with an automobile, and right then and there I realized the tremendous possibilities of those beds for speeding.” (Embry and Shook, 1997) It was from this day on that the Bonneville Salt Flats have been classified as a world renowned raceway, known for its high speeds and potential for setting land speed records. 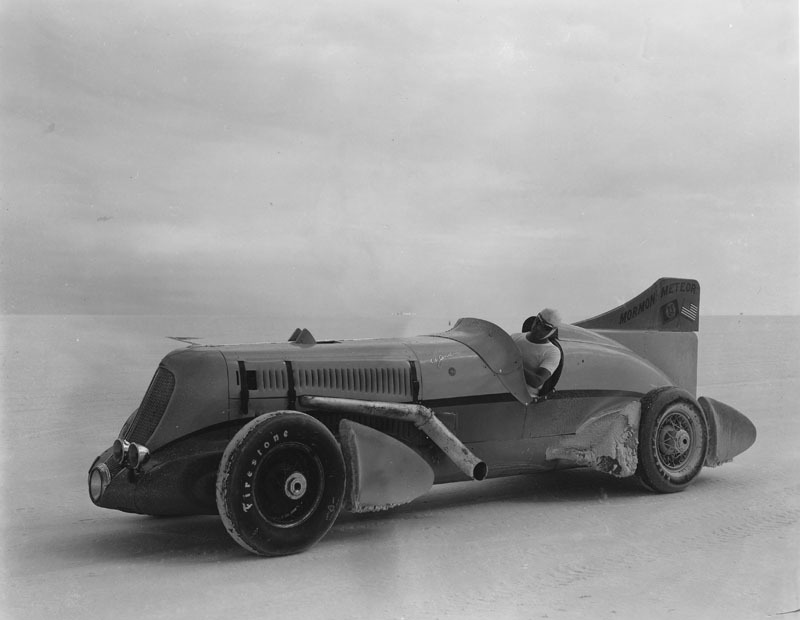 Ab Jenkins sitting inside his racing vehicle, the "Mormon Meteor," on the Bonneville Salt Flats Raceway, late 1930s. Photo courtesy of the Special Collections Archive at the J. Willard Marriott Library, The University of Utah. Jenkins was born in Spanish Fork, Utah, and was raised in Salt Lake City. He was a man of many different trades. Not only was he known for his development of racing on the Salt Flats and making this a place to set land speed records, but according to The Salt Lake Tribune “The Meteor Rides Again,” he was also known as a race-car driver, safety advocate, and the mayor of Salt Lake City for a time during World War II. In 1932, Jenkins took his 12-cylinder “Pierce-Arrow” automobile to the Bonneville Salt Flats, where he began the sport of land speed racing. Setting these world records caught the attention of many exceptional racers worldwide, bringing them to Utah to get a taste of the Bonneville Salt Flats. Jenkins’ popularity grew ever so rapidly once he had exposed these land speed records to the mainstream public. Furthermore, in 1950, Jenkins wiped out twenty-six world records on the Bonneville Salt Flats in his “Mormon Meteor.” He named his racecar the Mormon Meteor to show respect to his Mormon faith and heritage. 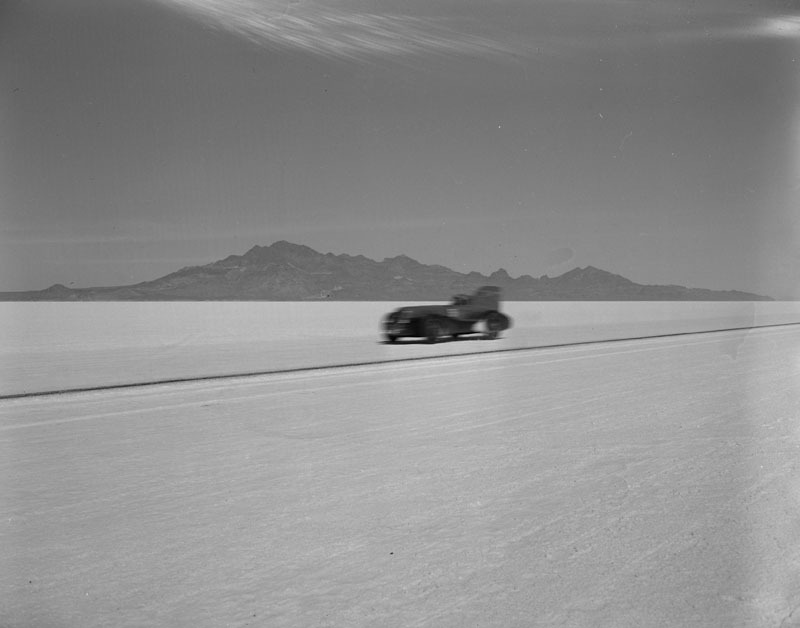 Ab Jenkins racing his "Mormon Meteor" across the Bonneville Salt Flats, circa 1936-1939. Photo courtesy of the Special Collections Archive at the J. Willard Marriott Library, University of Utah. Although Jenkins had thousands of records under his belt, he did have problems with his racecar early on. In an article published by The Deseret News in 1936, the author explains how Jenkins lost two of his records due to a mechanical error when a casting leak led a universal joint to burn out, paralyzing his car and wiping him out of that day’s record-setting runs. Even though circumstances such as mechanical malfunctions can occur, it was — and still is — very important that these racecar drivers had a crew of mechanics with them as well as parts so they could fix any problems at hand. 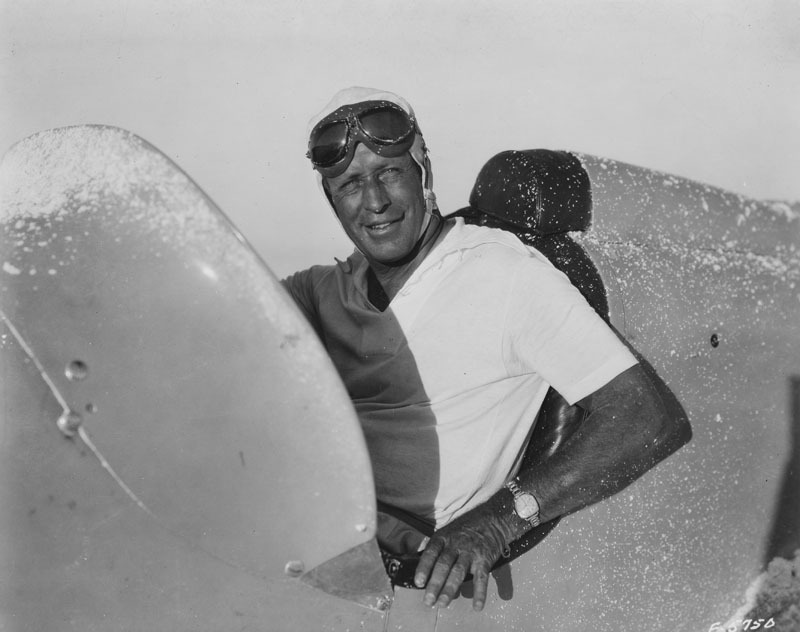 Above all, Ab Jenkins was the catalyst to the sport of land speed racing at the Bonneville Salt Flats and he had turned this sport into a popular worldwide event that takes place annually September 8-12, right here in Utah. Ab Jenkins sitting inside his "Mormon Meteor" on the Bonneville Salt Flats, late 1930s. Photo courtesy of the Special Collections Archive at the J. Willard Marriott Library, University of Utah. To get an idea of the types of automobiles Ab Jenkins and other racers were using (and still are used to this day), it is important that we know these racers used everything from 12-cylinder gas engines to straight jet engines. For example, in 1932 (Jenkins’ first race on the Salt Flats) he pushed his 12-cylinder Pierce-Arrow to the limits by driving it on the flats for 24 hours straight, only to stop for refueling. His average speed in this race was 112.916 mph. (The Salt Lake Tribune, 2011) The A.A.A., however, did not record this land speed record. Being the goal oriented and driven man that Ab Jenkins was, he decided to go after his own record again in 1933. Furthermore, he influenced “top British racers Sir Malcolm Campbell, Capt. E.T. Eyston and John Cobb to visit the Salt Flats for the first time, setting records and launching the site’s global reputation.” (The Salt Lake Tribune, 2011). Just a couple years later in 1935, Jenkins came out with his “Mormon Meteor II,” which was a 12-cylinder Curtis airplane engine that had a little over 400 horsepower. In this vehicle he set a 24-hour land endurance average speed record of 135 mph, covering over 3,523 miles. (Owens, Supercars.net) Jumping ahead to 1970, Gary Gabolich’s rocket car, “Blue Flame,” set a speed of 622.4 mph (The Salt Lake Tribune, 2011). When these men are out racing their cars, it is the A.A.A. that is clocking their official times on the racetrack (or Salt Flats). In a September 1936 article published by The Deseret News, the author wrote that Jenkins was to pay $2,500 to the A.A.A. timers for their assistance in clocking the official runs down the Salt Flats. Back then, $2,500 was a lot of money, but thanks to Jenkins’ accomplishments and popularity in the state of Utah, the Optimist Club (a philanthropic organization) gathered this money for Jenkins and paid the A.A.A timers for his runs. Nicholas W. Hageman, left, at the Bonneville Salt Flats, September 2011. 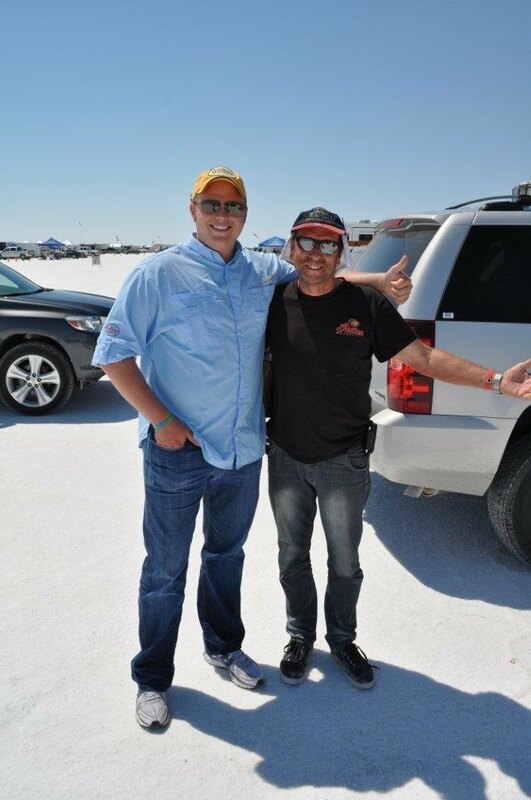 Thanks to Ab Jenkins, the Bonneville Salt Flats are used for more than just land speed racing, however. Filmmakers and television producers use the Salt Flats in movies and TV shows because of the beautiful scenery it can evoke. Examples of a couple of films that have been shot at the Salt Flats are Independence Day, The World’s Fastest Indian, and even The Pirates of the Caribbean. Additionally, the surrounding areas of the Bonneville Salt Flats are featured in the movie Con Air. (The Salt Lake Tribune, 2011) The scenery is so wide open and remote, filmmakers and directors can virtually make the Salt Flats look like any place in the world they want to. Overall, the Bonneville Salt Flats have many uses and are popular worldwide by a variety of different enthusiasts, thus making it a significant landmark for entertainment and historical purposes here in the state of Utah. Nicholas Hageman is a senior at the University of Utah. He is studying speech communication and will graduate in August 2012 with a B.S. in speech communication. Nicholas is an avid golfer, fisherman, hunter and car enthusiast. He transferred to the University of Utah in the fall of 2011 from the University of Arizona, where he studied Agribusiness Economics & Management. Tom Wharton, “Wendover: More Than Gambling,” The Salt Lake Tribune, December 6, 2011, C1. Sean Means, “The Meteor Rides Again,” The Salt Lake Tribune, August 21, 2011, D2. “Jenkins Awaits Friday Salt Flat Run,” The Deseret News, July 15, 1951, C5. “Salt Flats Dry, Fast For Races,” Deseret News, September 2, 1950, 11. “Ab Jenkins To Go After Own Records,” Deseret News, October 15, 1946, 10. “Five Bouts Feature Ab Jenkins Benefit Card,” Deseret News, September 25, 1936, 15. “Jenkins Will Start Again Monday,” Deseret News, September 17, 1936, 7. George Chambers, “Cobb To Return To Utah Salt Flats,” The Salt Lake Tribune, July 18, 1935, 12. Janna Bushman and James Davis, “Crafting a Sense of Place: Media’s Use of the Bonneville Salt Flats,” Journal of Cultural Geography 17, no. 1 (1997). George Lepp, Bonneville Salt Flats: Speed Limit 1,000 mph (Osceola, WI: Motorbooks International, 1988). Ab Jenkins and Wendell J. Ashton, The Salt of The Earth (Salt Lake: The Deseret News Press, 1939). “Real-Man Revisited: Ab Jenkins Son of the Salt,” Barracuda Magazine (no. 11). Jessie Embry and Ron Shook, “Utah’s ‘Ugly Duckling’ Salt Flats,” Utah History to Go, State of Utah. Kevin B. Hallaran, “Bonneville Salt Flats,” Utah History to Go, State of Utah. 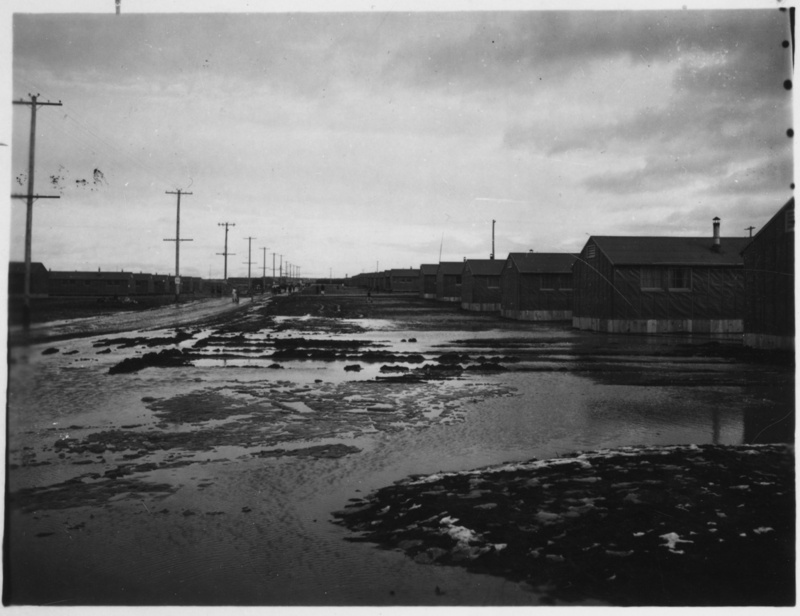 Just a couple days after the attack on Pearl Harbor, Japanese Americans were forced into internment camps. One of these camps was right here in Millard County, Utah. Through all of this mayhem the news media were able to collect information and print what they found in their articles. Much of this information was very valuable to many Americans; knowing that the Japanese Americans were contained in internment camps helped them think that they were safe. The print media printed articles surrounding the entry into the internment camps, movement of internees amongst the internment camps, and the selective service for the Nisei who were currently held in the internment camps. The articles that I focused on were articles written and published by the Topaz Times, the camp newspaper that covered many important moments through WWII. Photograph taken inside the Central Utah Relocation Center, commonly known as Topaz. Photo courtesy of Special Collections, J. Willard Marriott Library, The University of Utah. Another article titled “Court Convicts Nisei on Draft Charge” helps give a picture of what happened to many of the Japanese American men who had signed up for the Armed Forces, but decided not to show up. George Jiro Sugihara, who was only 19 at the time and felt that he owed nothing to the United States Armed Forces, was charged guilty under the Selective Service Act for not showing up for his induction into the Armed Forces. This was only one article, but this article explains the consequences to the decisions that many Japanese Americans made, whether they decided to join the Armed Forces or stay in the internment camps. While the Japanese Americans were staying at the internment camps their mail was supervised. An article by the Topaz Times titled, “Instructions Released on Internee Mail,” explained the process that the internees along with the internment camps took before sending their mail. All of the internees had to send their mail to New York with the title “Prisoner of war mail—free” at the upper right-hand corner. This new rule was established to censor what the Japanese Americans were allowed to say to either others in internment camps or others outside of the internment camps. I was able to find two articles published by the Topaz Times that discussed stories by families who were reunited in internment camps. 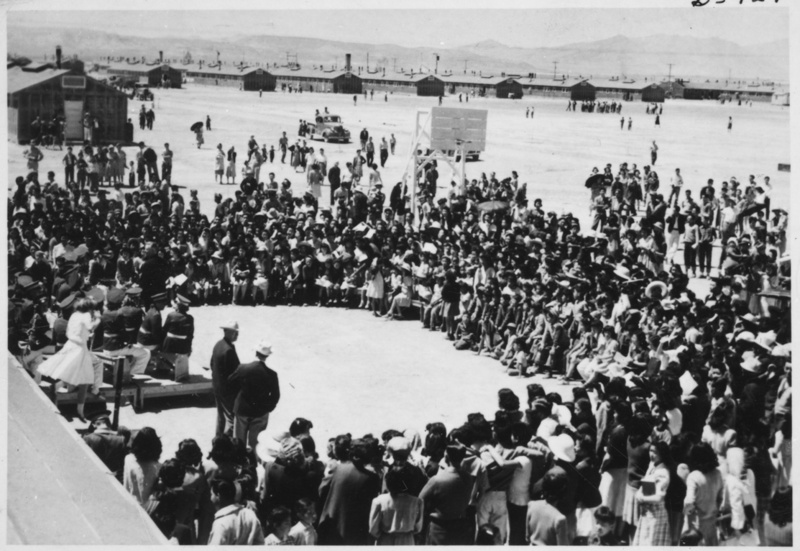 One of the articles was titled “5 Internees Here From New Mexico”; the other article was titled “9 Internees Join Families.” In both, the Santa Fe internment camp sent family members to the Topaz internment camp, so the families could be reunited. These two articles give you a background idea that the American internment camps did have sympathy. The internment camp directors made an effort to make sure that families had the opportunity to be reunited. External view of Topaz. Photo courtesy of Special Collections, J. Willard Marriott Library, The University of Utah. During the year of 1945 when World War II ended, the Japanese Americans were allowed to leave the internment camp. Although this was a very joyous time for many of the internees, there were articles published about the dangers that the Japanese Americans faced upon returning home. A Topaz Times article titled “Shots Fired on Returnee’s Home” gave the readers an insight to the prejudice individuals were subjected to once they were released from the internment camp. Late one night at the Fresno, California, home of Setsugo Sakamoto, two shots were fired at his house. Mr. Sakamoto had just returned from the internment camp a month prior to this event with his family. This article shows that even though the Japanese Americans were released and freed from the internment camp, they still faced many dangerous hardships upon their arrival back to their homes. These articles were a great representation depicting the news coverage during wartime. It is very important to see how the news coverage has varied from the past to present day. As communication majors the past affects our present and future. To see how the news was covered in the past can help you either adopt or revise the past and create a new style of news reporting for the future. I have been very surprised to read about the Topaz internment camp. Even though this was during a time when everyone was very suspicious, the internment camps still tried to make it easier on their internees. For instance, they would transport their internees in order for them to reunite with their families. Clinton Curtis is graduating in August 2012 with a Bachelor of Science degree in communication and a minor in psychology. This information is very important to myself and to my family history. My grandfather was placed into an internment camp in Idaho and shortly after he was drafted into the war. My grandfather was specifically drafted into WWII under the 442nd Regimental Combat Team. “5 Internees Here from New Mexico,” Topaz Times, November 2, 1943. “9 Internees Join Families,” Topaz Times, July, 13, 1943. “A Letter,” Topaz Times, July 17, 1943. “Court Convicts Nisei on Draft Charge,” Topaz Times, November 26, 1945. “Editorial,” Topaz Times, August 15, 1942. “Instructions Released on Internee Mail,” Topaz Times, February 12, 1943. “The Nisei and the Selective Service,” Topaz Times, April 1, 1944. “Shots Fired on Returnee’s Home,” Topaz Times, May 15, 1945. “Photograph 1 inside Topaz internment camp”. Marriot Library Special Collections. 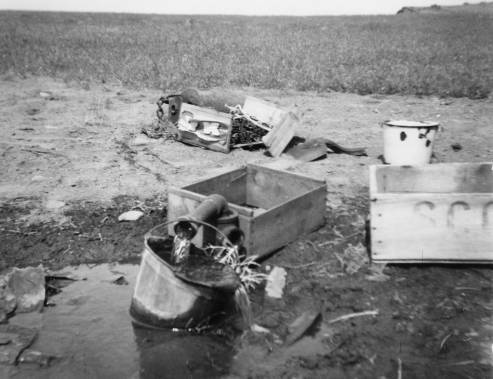 “Photograph 2 taken outside of Topaz internment camp”. Marriot Library Special Collections. Robert Shaffer, “Opposition To Internment: Defending Japanese American Rights During World War II” Historian 61, no. 3 (1999): 597. Dolores Flamiano, “Japanese American Internment In Popular Magazines,” Journalism History 36, no. 1 (2010): 23-35. Eric J. Sundquist, “The Japanese-American Internment,” American Scholar (1999): 529-47.